How I Found The Right Sport For My Body And Mood. January is the absolute worst time for the whole 'new year new me' rhetoric which usually centres around dieting, weightloss and companies pushing us to buy pretty much anything in order to lose a few pounds. 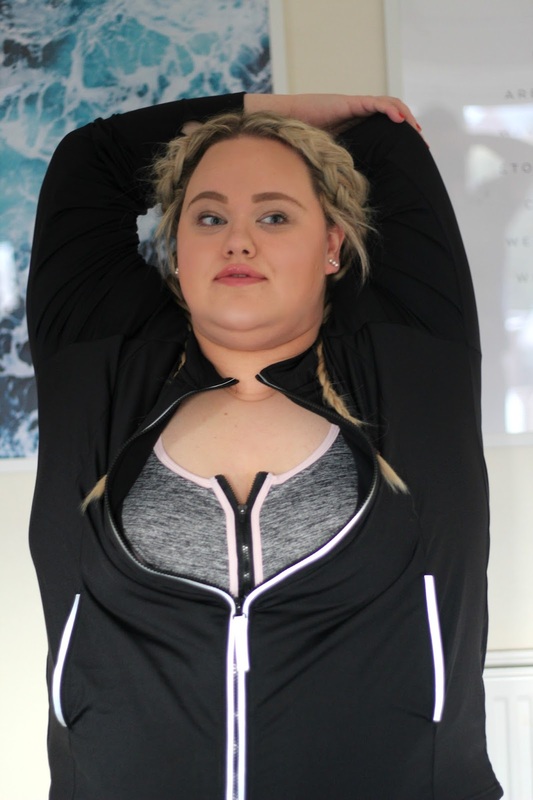 I'm really not into that unnecessary judgement/pushiness - as you'll probably know - so I thought I'd talk to you about exercise as a plus size woman, and primarily how I found the right activities for my body and moods. I have a chronic pain condition which has dominated my life for the last 3 years, and stopped me doing a lot of things I used to quite easily do. I've had to adapt my day-to-day life to suit my condition, which is frustrating BUT it's meant I've been forced to try new things which are easier on my body. I've found as well that I prefer different kinds of activities depending on the kind of mood I'm in, which seems pretty straight forward, but it's not something I had really considered previously. 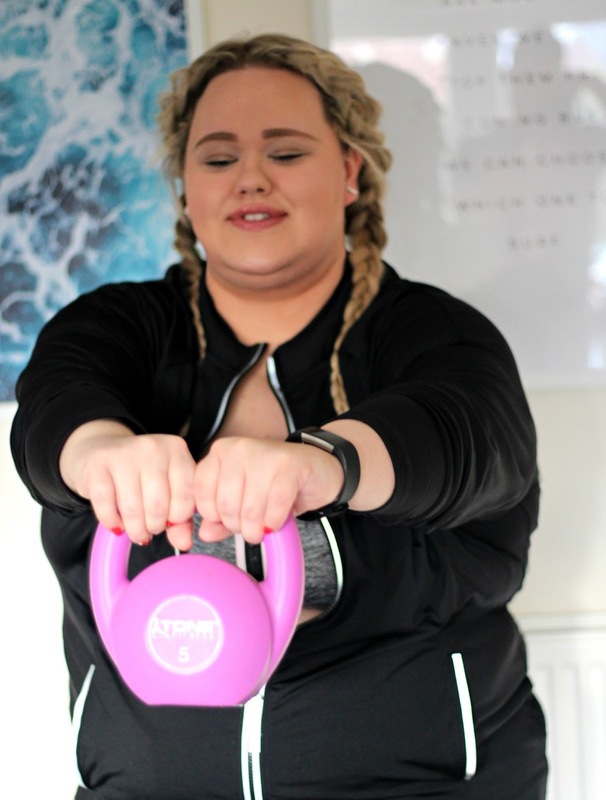 I've popped down each of the new 'sports' I've started to add into my routine, and when I feel I'm mentally at my best to do them in the hope that they might help you too! 1. Walking. Hear me out as you're probably thinking that that really isn't a 'sport'. I understand. However, when you have a chronic pain condition pretty much any physical activity can really take it out of you. I've found walking to be really cathartic recently, I used to find it so boring but I now always listen to an audiobook ( I use audible religiously). I also use my FitBit to count how many steps I've taken each day, which is really handy to know if you're setting yourself specific step goals. Getting myself outside and walking - usually with Fred - is something I force myself to do when I'm having a down day or feeling stressed with something, it helps to clear my mind and refocus. 2. Kettlebells + Boxing - I've paired these together as they're two indoor activities I'm getting into more. The wee kettle bell you can see in my pictures below isn't the heaviest but it's what I find achievable to consistently lift and helps to strengthen my arms. Boxing - at home - is something new I'm trying, and so far I'm finding it to be a great stress reliever, and quite fun! It helps you get out any pent-up anger or frustration too which is always a good thing. 3. Yoga + stretching - I've always been flexible and enjoyed yoga on and off - see this post here from a couple of years ago - but I'm trying to confirm it's slot it into my routine as it helps me so much mentally. Sadly for me with a chronic condition came anxiety, and yes medication and CBT can help but so can moving your body in the right way. Light yoga and stretching helps when I'm feeling stressed or overwhelmed. Even 10-15 minutes of doing it can help to rebalance my mind and stretch out my - usual achey - body. Yoga is also a great at home activity to do if you're feeling a little self conscious about doing it outside or going to a class. Being plus size and doing any kind of sport publicly can be overwhelming so this is great to do at home. 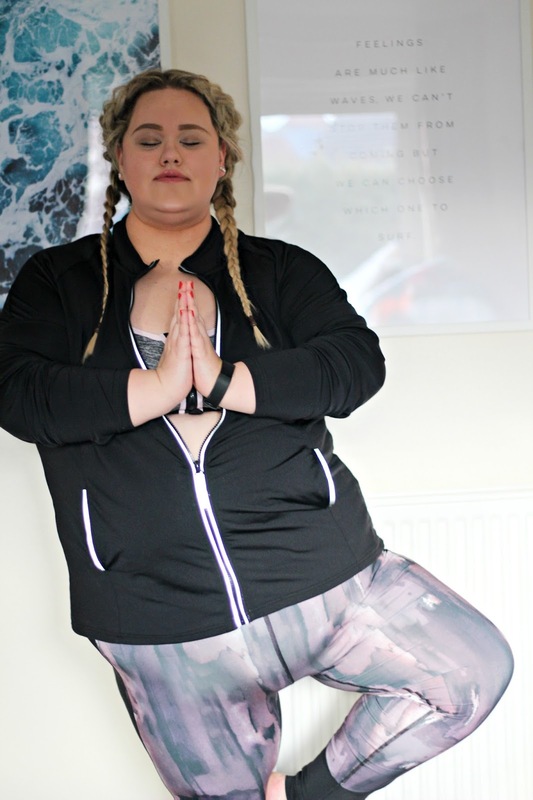 All of the activewear I'm wearing in this post is from SimplyBe - I'm so pleased that we finally have an on trend range of plus-size sportswear, because for quite some time our variety has been BLEAK. Their own brand range is really affordable and comfortable (I've popped fit or design notes under each product below! 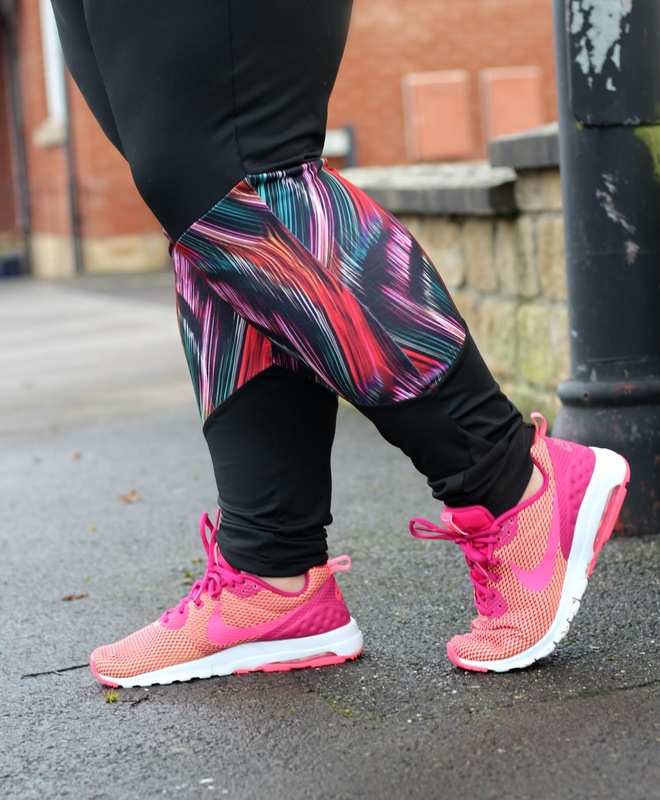 ), and they also stock a lot of branded activewear so it's definitely worth taking a look at if you're on the hunt for some. *I was kindly gifted the items in this post, however all opinions and words are my own. © Chloe Elliott. Powered by Blogger.